Last month I bought a couple of colourful eyeliner pencils, and I've been trying to figure out the perfect way to wear them. 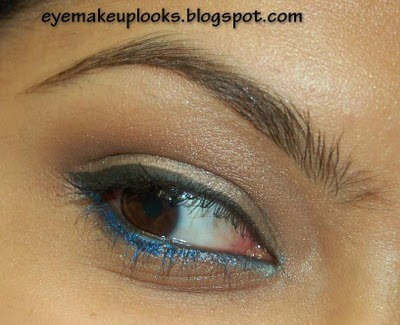 Thanks to "An Eye Makeup Addicts Blog" I'm inspired and I found a way! :D woohoo.